Steve and Connie Faria, the owners of the popular resort Chalets on Table Rock Lake, were extremely impressed and intrigued by what they saw at Caboose Junction. They felt an immediate connection with the beauty and character of this incredible resort located on the shores of Table Rock Lake. They knew in an instant, after viewing the property in 2015, they needed to bring this unique property into their family of quality lakefront resorts. A rare gem, it offered everything the Faria’s were seeking in providing the same high level and quality experience to their valued guests. Their purpose and goal in the resort business is to help families bond together in a fun-filled, family environment and create cherished memories that will last a lifetime. 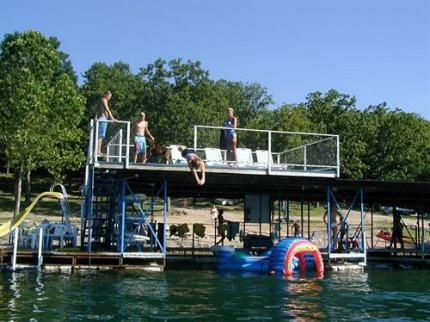 Caboose Junction is one of the few resorts on Table Rock Lake that offers this remarkable and memorable experience. Caboose Junction Resort was the brainchild of Will and Pat Palmer, who moved to Lampe, Missouri, in 1972. 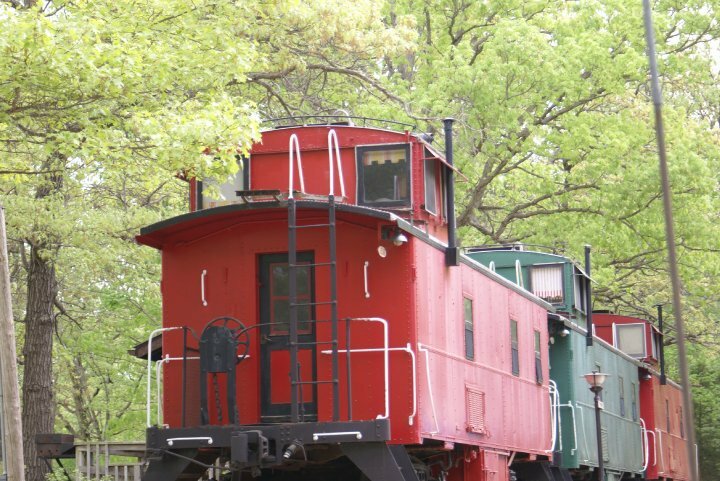 The couple wanted to offer a vacation experience like no other in the Ozarks, so they decided to convert six authentic Atchison, Topeka and Santa Fe Railway cabooses into charming resort units. The couple’s decision was a big hit as visitors from all across the U.S. continue to come for a stay in the resort cabooses, which border beautiful Table Rock Lake and offer many outdoor, family-oriented activities. Guests can also enjoy the numerous attractions nearby, including Eureka Springs (35 Mi), Silver Dollar City (20 Mi. ), Shepherd of the Hills, Branson 76 strip (25 Mi), Dogwood Canyon (8 mi) and much, much more. *Read More about the history of the cabooses in the "History" link. All Aboard for a lifetime experience!